Homeschooling at the Zoo - and a FREE DOWNLOAD! 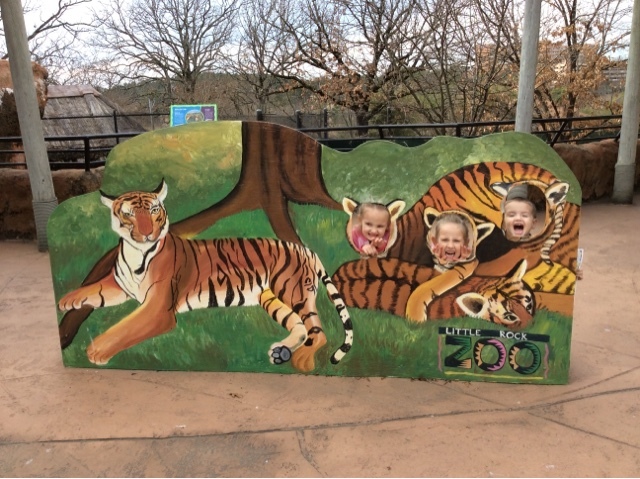 We love heading to the zoo for a field trip! You can easily alter the experience to teach various grade levels and subjects. Here are just a few ideas to help you brainstorm how to make your field trip to the zoo a memorable, enjoyable, and educational event. Geography: Classify animals by native continents. Study the habitats. 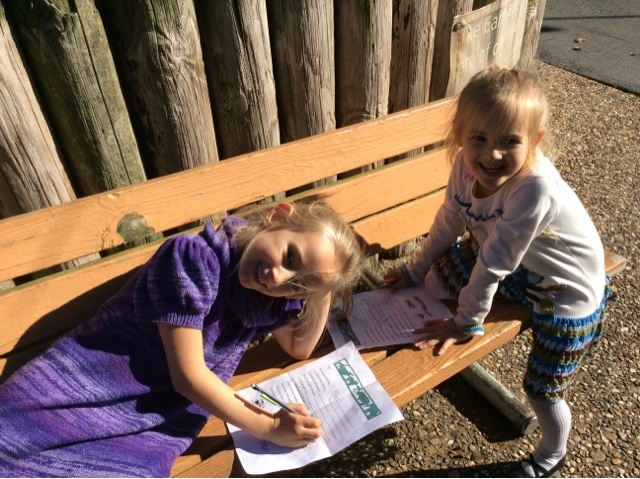 You can also practice your map reading skills if the zoo offers a map. History: How were the animals used by humans throughout the ages? Meat? Clothing? Transportation? Tools? Weapons? Science: Study and classify the animals. How is each animal uniquely designed? Where does the animal fall into the food chain? What kind of habitat does the animal live in and why? We love The Complete Zoo Adventure: A Field Trip in a Book by Gary and Mary Parker. Math: Graph your observations. Calculate how many pounds of food different animals would consume in a year. Calculate how long it would take a particular animal to travel 1 mile. For younger children, play "I Spy" with different colors, shapes, or patterns. 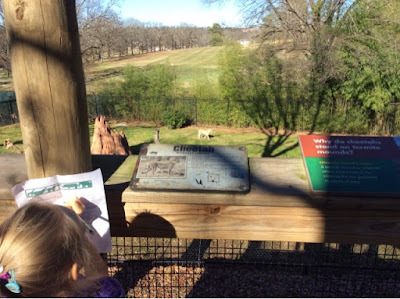 Phonics, Reading, and Writing: There are plenty of opportunities to read signs around the zoo or play "I Spy" a letter. Find an animal that begins or ends with a particular letter. We love to increase our vocabulary with flashcards from PBS Cubed, and pull out a few new cards before each trip to the zoo. Do a word search or cross word puzzle. Write down five new facts you learned. 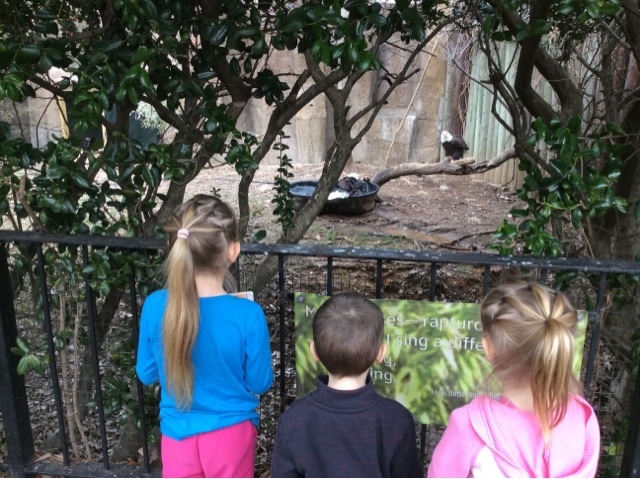 Observe an animal and see how many adjectives you can come up with to describe the animal. Bring a journal and do some creative writing, such as "If I were a tiger..." or "Lost in Africa". Art - Sketch, draw, or paint an animal or habitat. 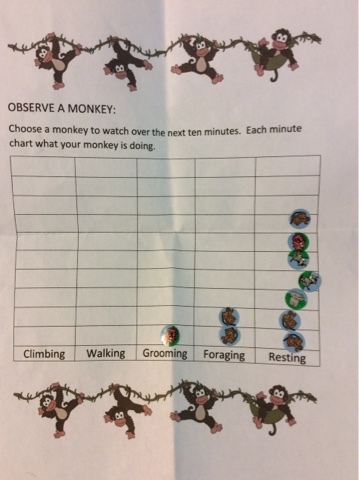 Grab your free "I Spy" and "Monkey Observation" activity sheets below! 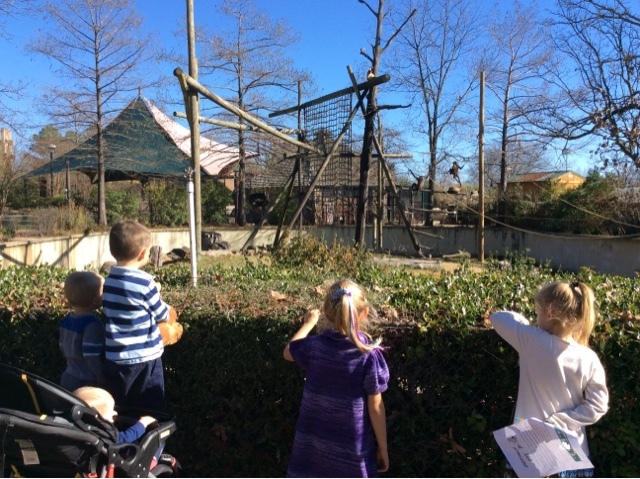 Turn the Monkey Observation into a long term project by comparing behavior in different seasons/weather, different times of day, or between different species of monkeys. Bless your friends and family with a relaxing bath. These make wonderful Christmas presents for teachers, coaches, or others who work hard to serve your family throughout the year. They can be used as stocking stuffers. Mix 2 cups Epsom Salts, 1/2 cup Baking Soda, and 5 drops of Young Living essential oils (Lavender or Peace & Calming are my favorite!) . 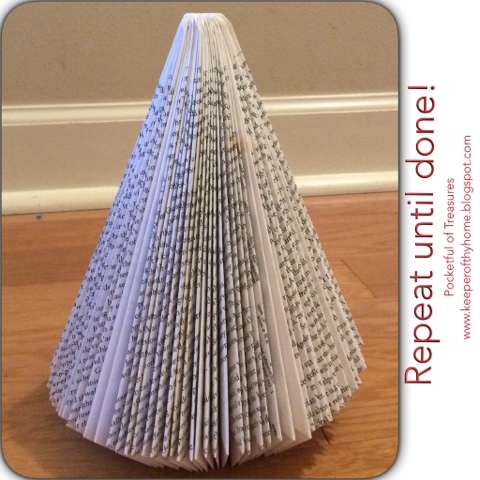 Use a funnel to add it to a large ornament*. To use, simply remove the top and add the desired amount (anywhere from 1/2 cup to the full 2 cups) to the bath. Relax and Enjoy! 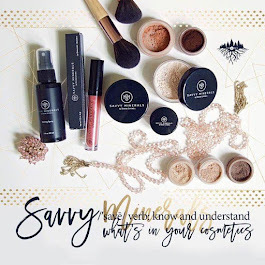 Learn more about Young Living Essential Oils! 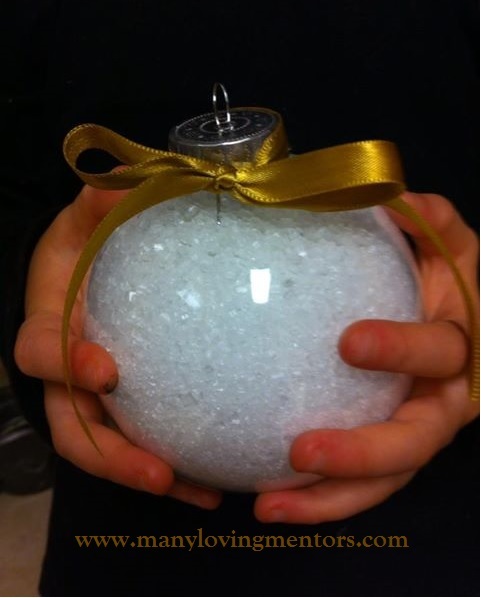 The Perfect Homemade Teacher's Gift in 1 Minute or Less! 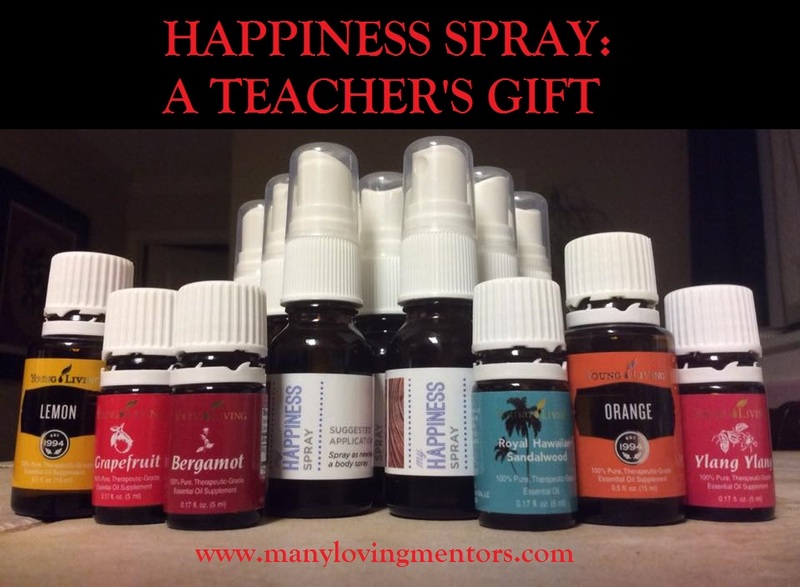 Looking for an awesome teacher's gift? You have come to the right place! Even though we are a homeschooling family, we are blessed with a wonderful co-op and a bunch of wonderful ladies who pour into the lives of our children. 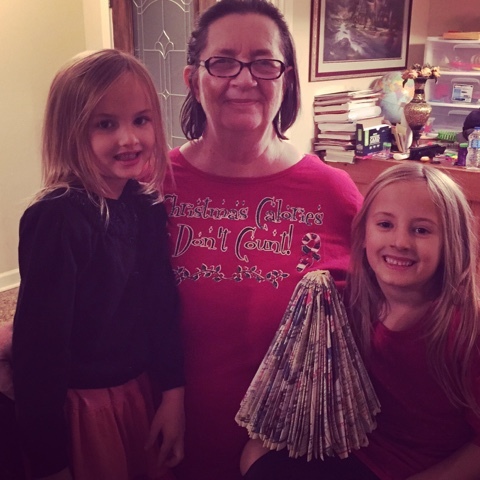 I wanted to give back to them a bit this Christmas. So I decided to help make their Christmas merry and bright with some Happiness Spray. I find this aroma absolutely heavenly and love to wear it as a perfume. Between our five children I needed gifts for 12 different teachers, so I wanted an elegant, homemade gift, that was quick and easy to make. 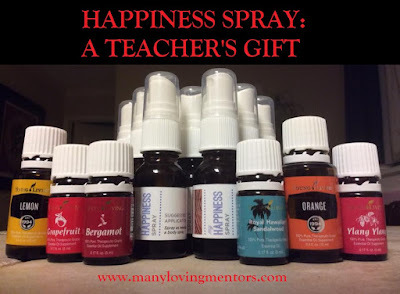 Happiness Spray can be whipped up in one minute or less! Add 3 drops of each essential oil to the spray bottle, top with purified water, and add label. Congrats, you're done! If only teaching were so easy! 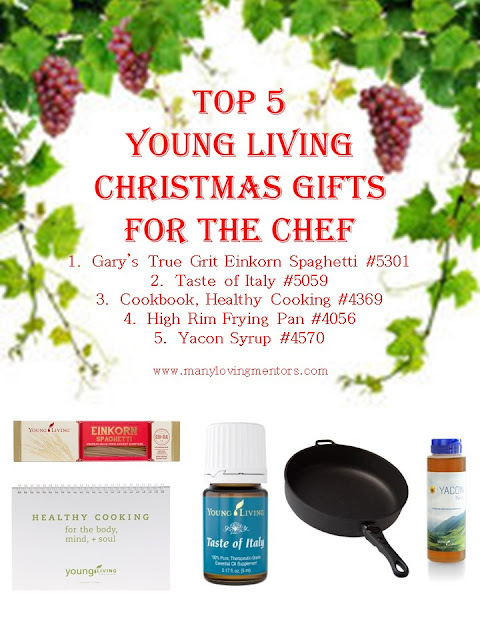 Be sure to check out my Young Living Gift Guide for more ideas for everyone you know! All I want for Christmas is more Young Living products! Want to really win your hubby over this Christmas? Wrap some Shutran up with some bedroom coupons or a weekend getaway for just the two of you! Want to win your wife over? Buy some flowers and tea candles to decorate the bathroom and offer to watch the kids while you draw her a bath! Our kids flipped when they saw these diffusers at the Young Living convention, and they cannot wait to get them in their bedroom. 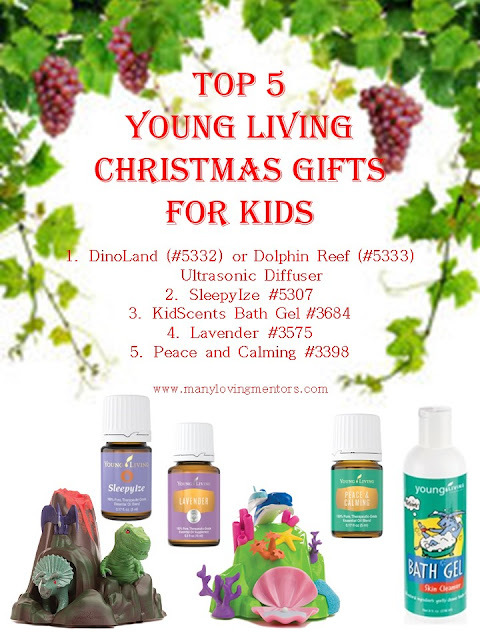 Stuff their stockings with some play dinosaurs or bracelets (the clam shell on the Dolphin Reef is meant to store jewelry) to let their imagination run wild. Fill empty baby food jars with pre-measured scoops of the Pure Protein Complete and gift in a basket with the Shaker Bottle. 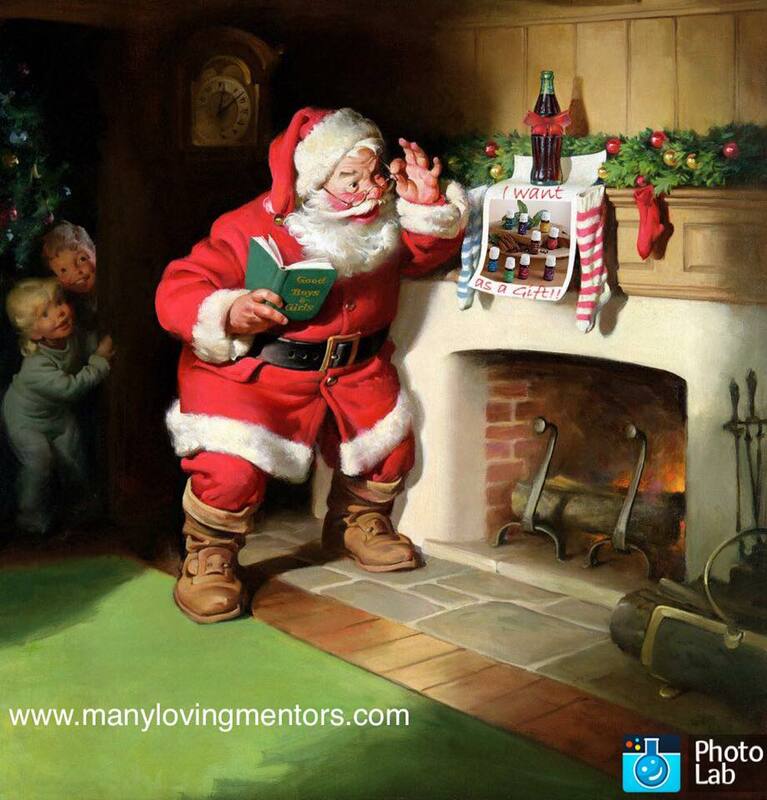 Buy an apron with a pocket and tuck the bottle of essential oil in it before wrapping. 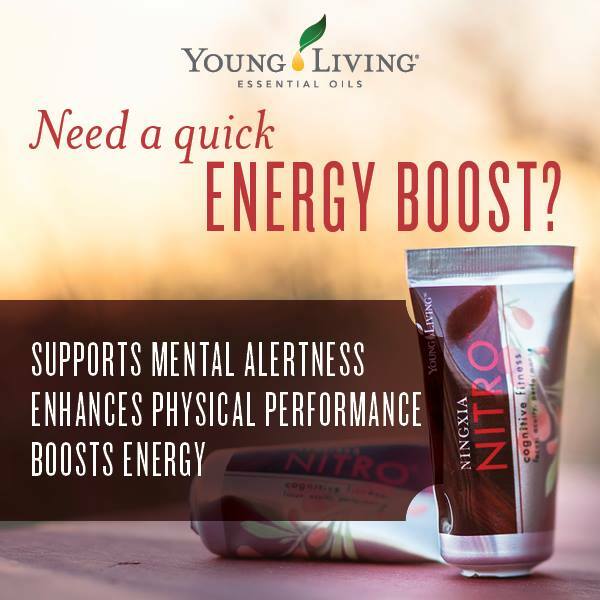 Taste of Italy is just one of many different oils you could choose. Lemon, Lime, Jade Lemon, Nutmeg, Cinnamon, Basil, and Ginger are just a few others. 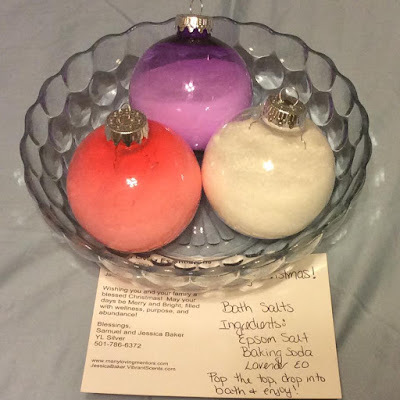 I like to make a gift basket with some Zyng and Bath Salt; something to help them keep up through this busy season, but also to have some much needed and well-deserved relaxation time. Here's a cost saving tip: Turn one bottle of Orange Blossom into several gifts. Place 2 TBSPs Orange Blossom Face Wash into a foaming bottle and fill the rest with purified water to creating a Foaming Facial Wash that makes a wonderful, cost-effective gift. 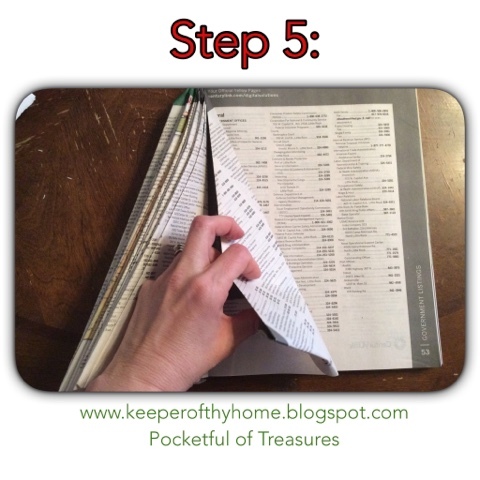 Don't have a phone book? 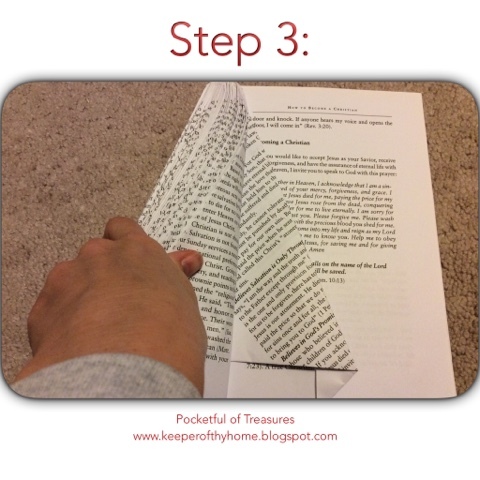 A paperback book will work, and you can try this alternative technique for a slightly different finished look. 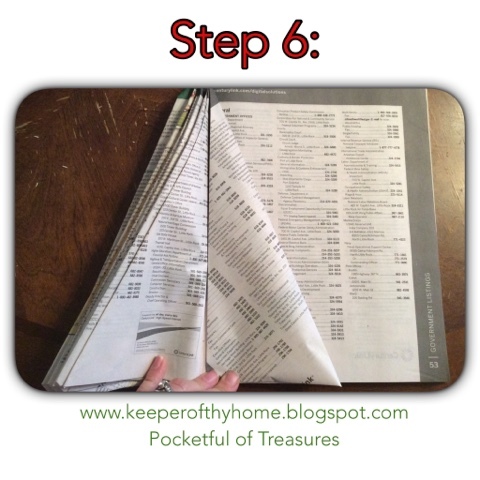 I think we used Reader's Digest books as a kid. To start, find a paperback book (mine was 150 pages) and rip off the front and back cover. Fold top right corner down to spine, and then bottom right corner up. 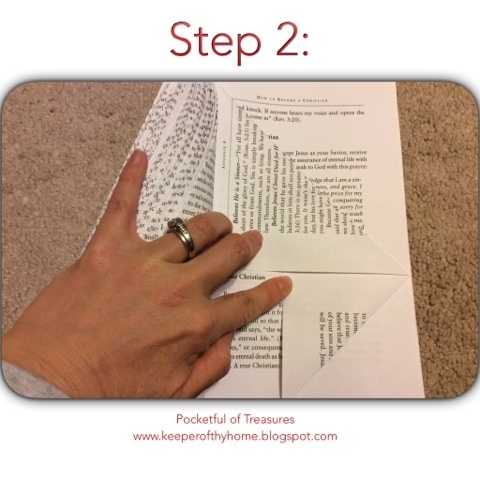 Fold page in to spine again. You can decorate if you like. We went to Hobby Lobby yesterday to get some spray paint, glitter, tinsel, mini lights, and charms (to glue on as ornaments). 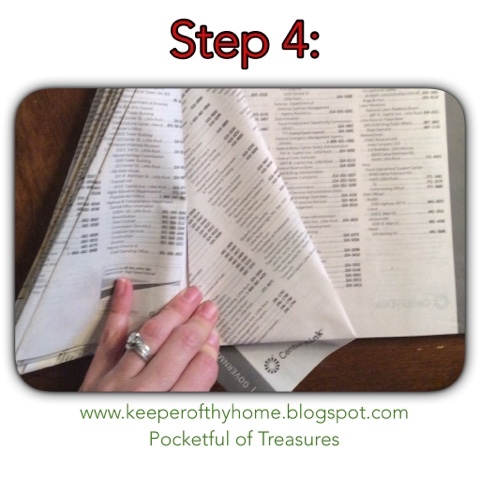 Wondering what to do with all those phone books (or any unwanted book) stacked in your closet? Turn them into Christmas trees - a fun, beautiful, easy Christmas decoration or gift. 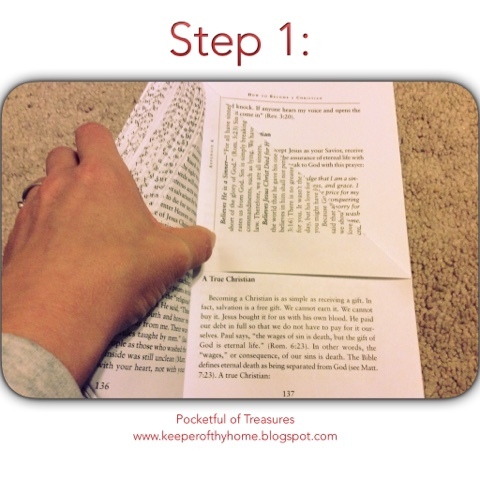 To start, you'll need a paperback book with the covers torn off. 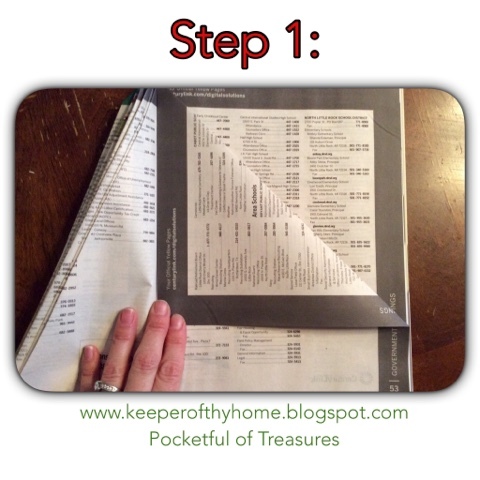 Repeat the process for every page. 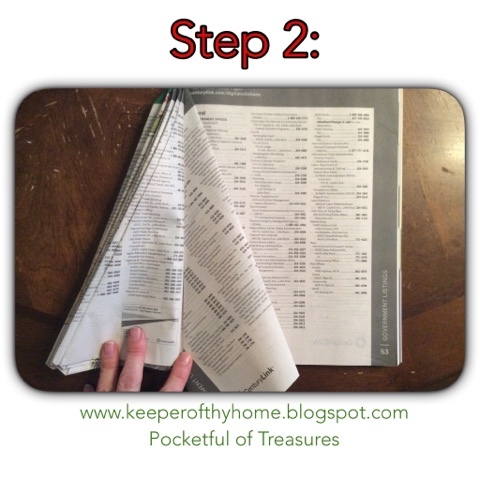 You can use a large binder clip to help you hold back finished pages. Here is one our daughter finished for her Grandma for her birthday. When you are done you may spray paint and decorate. 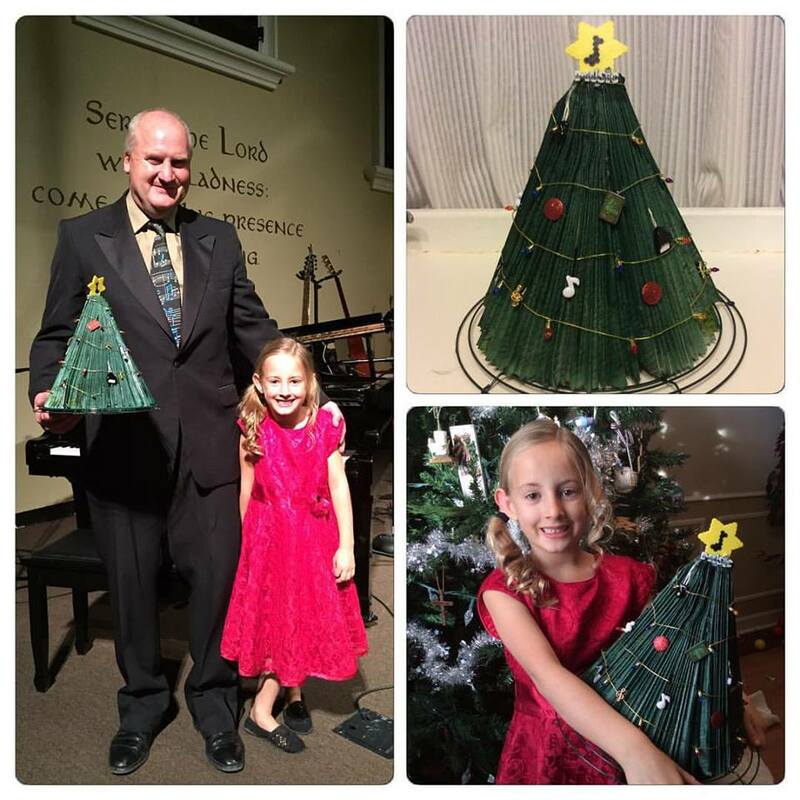 Here is one that our daughter made for her piano teacher as a recital gift. Check out this how-to video our daughters made!